Cleaning our homes is often a top priority and many of us go out of our way to keep our living spaces looking good all year round. There are instances when we feel like our efforts simply aren’t enough – and this may be when professionals are called in to help. But what happens when it comes to cleaning the outside of your home. Exterior house cleaning can be important at times and is often overlooked, so when might you need to get the outside of your home looking ship-shape – and will you need the professionals to do so? Any homeowner will understand just how much the seasons can affect the exterior of a house – and not just the siding or paintwork! Specific times of year spell disaster for houses of all shapes and sizes; from drainage problems, gutter build-ups and even loose foliage. While simply sweeping away debris in windy weather may be manageable, there are some cleaning jobs that might need the help of a professional. Damaged tree limbs can look unsightly and concrete can suffer with staining as a result of wet leaves, so calling in some expert help can make a huge difference. When it comes to special events, we all know how important having a clean exterior can be. After all, who wants wedding photos taken outside of a dirty house? Dingy siding and dirty windows can make or break the aesthetic of your home and getting stuck in with a rag can work wonders. But do you have to put in all that effort? When house cleaning companies that offer exterior cleaning have access to heavy-duty cleaning products and pressure washers and can have your home looking brand new in next to no time at all, there’s really no need. When you want to sell your home, it’s no secret that first impressions have a big impact and can even make or break a sale. When a few simple steps can be undertaken, it seems silly not to go the extra mile to ensure that your home looks clean and tidy. If you are too busy to take care of the finer details, hiring a cleaning company can be a good idea. Cleaning gutters, pressure-washing debris from between tiles and even adding window boxes or some fresh gravel to your driveway can easily add hundreds (or even thousands) to the re-sale value of your home, so why not make the most of your curb-appeal from the offset? Regardless of whether you’re hoping to have an indoor pool installed or if you’re keen to have one constructed in your garden – the chances are that you will want to consider your swimming pool design above all else. With so many unique styles and aesthetics to choose from, not to mention the variation in allocated spaces where the swimming areas will be built; it will definitely pay to invest in an expert pool building company for the advice and expertise that they bring to the table. When choosing the best pool design for your property, there are several important elements the guys at DenaliPools can help you think about. As common as it is to see rectangular or square pools, that doesn’t make them a necessity – and many home owners find that they prefer angular shapes. 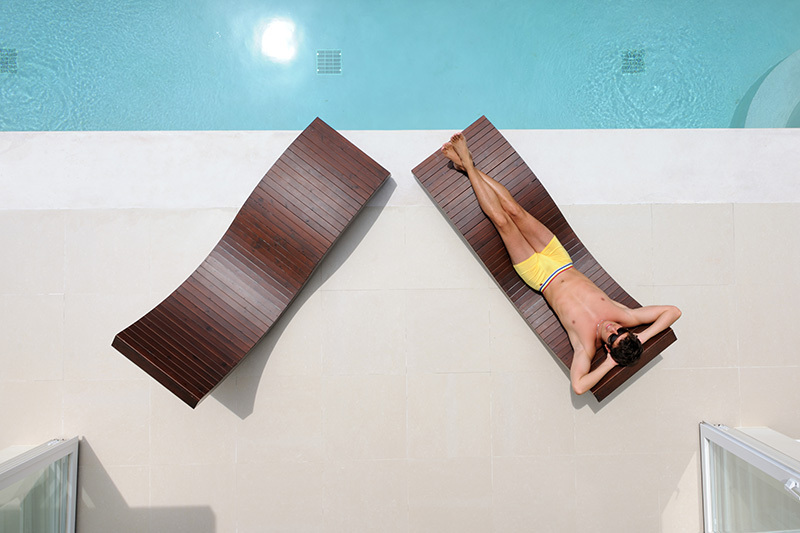 These shapes don’t just look unique, they are often better suited to fitting into particular spaces and can work wonders on the aesthetics of a swimming area. No two spaces are the same and this will definitely dictate the size of a pool. Even smaller locations can feature a nice looking swimming area – especially if it’s an option to dig a little deeper. The size will depend on the space available, as well as the home owner’s preference. If they are hoping for an Olympic size pool then they will need a garden big enough to facilitate it. In most instances, a pool measuring 6 to 10 metres in length will be big enough for an entire family and guests. Many swimming spaces can offer standard features like boards and entry points (built in steps or external steps), but it’s always an option to have the exterior converted to provide a little more aesthetic appeal. Rockeries can be a great addition, as can slides and even small waterfalls. A good pool development company will be able to offer advice relating to the features and so it’s a good idea to get in touch with one before going ahead with the project. Even the greatest looking water features might leave a little something to be desired if they lack functionality. A good garden pool builder will know what it takes to enhance the level of functionality, without detracting from the overall appeal of a swimming space. As long as it can be accessed easily (or offer restricted access if small children and pets are present), then it should be suitable. Other functions can be installed to add a little more versatility – but the home owner’s specific needs should be prioritised in all instances and a pool construction company will be able to offer advice on this matter. Check out Denali Pools and their Facebook page for pool building. When it comes to buying a property, one of the most detrimental mistakes that a potential buyer can make is to rush the process. Even the quickest transactions can take months, so it doesn’t make much sense to strive for a decision in the first couple of weeks and then spend the next few months wondering if the right decision was made in the first place. Wherever the property is being bought in Australia, from the coast of Queensland to the inner Sydney city, here are a few tips and techniques to maximise your chance of finding the right one. It’s easy to fall in love with the first property viewed – after all many potential buyers are so keen to purchase something that they can call their own, that they are willing to overlook their own preferences. This can be a very bad idea and will typically cause long term suffering. Instead of opting for one of the first viewed, it might be a better option to take a look at ten to twenty potential homes instead. By the fifth or sixth you’ll already have a better idea of what you’re looking for and this can work wonders for your final decision. Once the dream property has been discovered, the next step is to put in an offer. Many new home buyers make the mistake of meeting the asking price; but in reality this amount will typically be several thousand above the valuation. Instead, put in a lower offer (sometimes up to tens’ of thousands lower) and consider this a starting point. The best case scenario will be that the previous owner is keen to sell and will drop the price to suit. The worst case is that they might want to meet in the middle – but either way money is saved. If an agency has been hired, then there’s no better way to narrow down the possibilities than by having them take care of the hard work. Simply let them know the size of the home wanted, the amount of bedrooms, any key features and other contributing factors. The agency will review their portfolio and will only source the properties that match your specifications; all but eliminating wasted viewing times for housing that may not be suitable. No matter how much a particular home is sought after, there will be another just as enticing somewhere else. If an offer has been rejected or if the property has been snapped up by someone else – there’s no harm in going back to the drawing board. Simply start again, view new properties and don’t stop until you find one that meets your every need. One of the most common questions that new home builders face is what can they expect from their newly built home? Well that’s where the good news comes in to play; the great thing about building your own home is that you’re in charge of all aspects of the construction. At TrendSetter Homes, we have access to a great range of features and functions that can be as effective on paper as they are in real life. From popular choices such as open plan living areas, entertainment facilities, dining rooms and downstairs bathrooms, to the much more exclusive and stylish audio rooms, converted master bedrooms and fully tiled en-suites. The possibilities really are endless as far as designing your own home goes, so why not get in touch with us to enquire about the unique services that we offer? We are often asked how long construction will take from beginning to end, and this strongly depends on the amount of work required for the specific project. Unlike purchasing a home from the real estate market, the skill and craftsmanship that will go in to building your home will result in the project taking anywhere between one and six months. We always promise that all of the homes that we construct are built in a professional manner, with complete quality throughout construction. So how can you be sure that your home is as personalized as possible? Well as a new home buyer, you’ll undoubtedly be very keen to see how your home’s construction is progressing. It’s always a good idea to be as involved in the construction process as possible. That way, you can discuss alterations, ideas and features as your home is built. This is also very beneficial if you’d simply like to monitor the way that things are going. At TrendSetterHomes, we’ll always aim to keep you as involved as you like, but that doesn’t mean that you’ll be expected to do any of the hard work – quite the opposite in fact. Once you’ve decided on the way that you’d like your home to look, we’ll take care of all of the hard work so that you don’t have to. As soon as the project is completed and your home has been built, you’ll have complete access and can begin living in your home in complete comfort. You’ll also get to enjoy the features and functions that you decided to include within your home. Over the past 25 years, we’ve found that one of the things that our clients are the most happy about is the complete comfort that they feel when living in their new homes. There’s something so appealing about living in a brand new location; a place where no one has lived before you. If you have any question or enquiries about any of our services, or if you’d like to book your project now, please feel free to get in touch with us and our team of advisors will be more than happy to help. There often comes a time in every home owner’s life where they feel the need to remove a load bearing wall. Whether a load bearing wall is an eyesore within your property, or if it just simply messes with the flow of your home, you may find it’s time to totally change up your living space. But what do you actually do when removing load bearing walls? Let’s take a look at all of the things that you need to consider before you make that all important decision! A load bearing wall refers to the wall(s) that both hold and distribute the weight of your home evenly across the entire structure. As these walls need to ‘bear the load’ of floors, ceilings and more, they need to be pretty heavy duty. What this means for you is that it’s a tricky task, but it’s by no means an impossible one. Which walls are load bearing? When it comes to wall removal, you need to know which walls are load-bearing before you start the project of removing them. Load bearing walls are typically found around the center of a building, and often run at right angles to the floor joists. It may be worth it to bear in mind that if a wall doesn’t have any extra walls, posts, or alternative supports directly above it, then it’s not likely to be load-bearing. Looking within your attic can also give you clues as to whether walls are load bearing or not, because ‘knee’ walls (3″ or shorter walls that support roof rafters) are generally placed directly above load bearing walls in many structures. When you remove a load bearing wall, it is essential that you implement an alternative method to support the weight of your home’s structure. There are a few different methods that you can choose from, so be sure to find out exactly which will work best for your living space before you begin wall removal. Posts and headers and even load-bearing beams can more than do the job and although the project may require heavy lifting and some carpentry, it shouldn’t be too hard to undertake. You will need to acquire a permit from your local authority before removing or replacing load bearing walls, as it is against the law to undertake any major structural changes without gaining the correct permissions. When you submit the paperwork for your permit, a building inspector will have the opportunity to double check all of your planned changes, which will work to ensure that the wall removal project itself is safe. You may find that the certain floor systems need to be better supported, or that you may need to use slightly different materials to what you have already planned to use, to get the safest possible alternative support for your home. If you would like more information about removing load bearing walls at home, or if you need a professional team to tackle the project for you, please feel free contact us here at http://www.hypergrind.com.au/ for all of your wall removal needs. How much money can I save with an eco-pump. You will almost always save money with an eco-pump the question is how much will I save and is it worthwhile. Eco-pumps come in two types, there is the older three speed model where each individual speed is fixed and cannot be changed, there is also a newer variable speed model which has three buttons low medium high each of which can be adjusted to whatever speed you like. The new adjustable speed pumps do not cost much more than the older fixed 3 speed version and have a significant advantage in that you can set your pool up to its most economical flow rate. The amounts of money you can save very much depends on what size pump is already installed in your pool. At $0.28 per kilowatt a 1 hp pump that is running eight hours per day in late spring /summer, four hours per day in winter and six hours per day in spring and autumn will cost the following. Some older 1 hp pumps and 1.5 hp pumps will consume up to 20% more energy than this, so it’s clear when a pump manufacturer advertises their three speed pump or eco-pump as saving over thousand dollars per year unless the pump prints money this can’t be done. However eco-pumps can save you a significant amount of money and pay for themselves very quickly especially if you currently have a 1.5 hp pump. An eco-pump will have to run for longer hours than a standard pool pump the cost calculation looks like this. The reason why an eco-pump costs more to run when it is being used to replace a 1.5 hp pump is that the pump will have to be run at a higher setting or for more hours because typically the 1.5 hp pump is fitted to a larger pool that has a higher water circulation requirement. As you can see the savings are huge, when you can run an eco-pump at its lowest setting you will save between $250 and $415 per year. Unfortunately you can not always run an eco-pump at its lowest setting. The two main reasons this will occur is when you have a suction automatic pool cleaner connected to your skimmer box and when you have a salt chlorinator. Most suction automatic pool cleaners require a higher setting on the pump to clean the pool and if you have an automatic salt chlorinator the eco-pump may not fill the cell up with water requiring a higher setting on the pump. If you have a suction pool cleaner connected to your skimmer it is more likely that the eco-pump will run on its medium setting so the operating cost of the pump will increase to $300 per year when replacing a 1 hp pump or to $400 per year if replacing a 1.5 hp pump. The operating cost of the eco-pump can be $300 to $400 per year if the speed is turned up to fill the salt cell if fitted. Piggybacking Security: How Can You Solve The Problem Of Tag-Along Users? When you offer a key or card security system you’ll already understand the problem of piggybacking. Undoubtedly one of the most abused weaknesses of an automated access control system, this particular structure doesn’t filter the number of people that it grants access to. For the most part all these systems allow is the electronic control of a particular door at any given time, so this allows people who don’t have access the option to gain entry to your building or secure area by default. As long as a non-authorized person waits for someone who carries the key to either enter or exit, they can get in. So how do you solve the problem of piggybacking security when a lot of the issues are caused by social etiquette? In many cases, the person tagging along is open about entering the space, either grabbing the door as somebody leaves, or calling out for the person to hold the door open as they go through. Its human nature to be polite, so good security practices fall by the wayside much more often than the probability of the system itself breaking down. It’s important to recognize that piggybacking security is likely to be the biggest weakness in your entire security system as most focus in terms of security is usually on the CCTV installation and monitoring. Many business and security personnel are concerned about issues such as duplicated security cards and hacking, but piggybacking is actually far less sophisticated and much more accessible to those who want to gain unauthorized access; particularly for access points that are subject to a high volume of both employee and visitor traffic. The basic function of each is to permit only one authorized user to either enter or leave the area or building at any given time. This can be by way of either a physical barrier or an electronic one that will detect when a person attempts to piggyback the system. Choosing the right anti-tailgating device can and will make all of the difference to your current security issues. 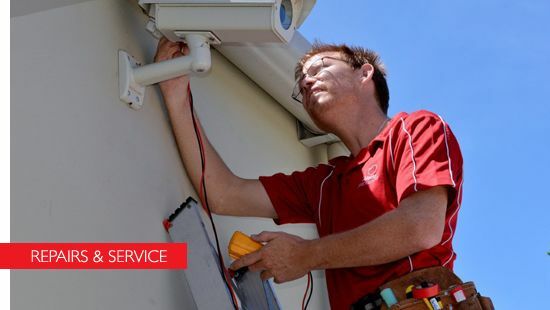 You need to first consider the extent of your overall security risk, your ability to provide the right amount of security staff to monitor exits and entrances, how quickly your team can respond to alarms and your budget for not just the initial purchase of the device, but also for the ongoing maintenance of the new system. Once you have the right anti-tailgating devices in place, piggybacking security will become a thing of the past. It is the duty of employers to take care for ensuring that all your employees are equipped with apposite training in their rights and responsibilities under the OH&S training act. Employers who have ignored and neglected this aspect due to operational or even the time restriction put their company as well as staff at risk. OH&S training provides employers with a cost effective solution which aims to ensure that all employees are properly trained within the first few hours of starting their employment. The courses are specifically designed for companies that want to implement OH&S training management systems. An effective OH&S management system successfully boosts the staff morale; allows them to concentrate on core business activities that are also reflected in the form of the increased level of performance and productivity. Overall, the OH&S training courses benefit employers, workers, as well as supervisors.